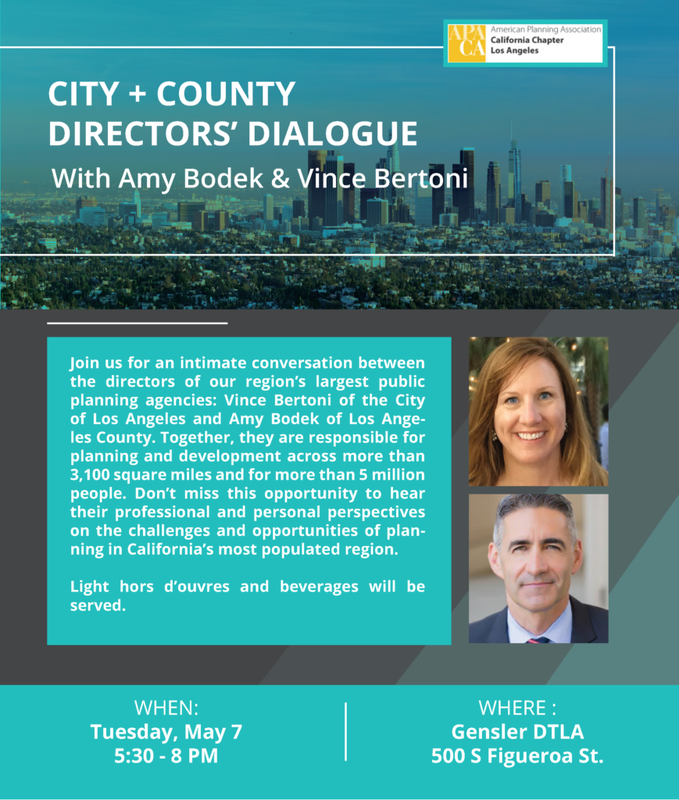 Join us for an intimate conversation between the directors of our region’s largest public planning agencies: Vince Bertoni of the City of Los Angeles and Amy Bodek of Los Angeles County. Together, they are responsible for planning and development across more than 3,100 square miles and for more than 5 million people. Don’t miss this opportunity to hear their professional and personal perspectives on the challenges and opportunities of planning in California’s most populated region. Light hors d’ouvres and beverages will be served.